Abdominal exercises tend to work both the upper and lower regions of your abs, however, a lot of the common exercises lean more towards targeting your upper abs primarily. These exercises include crunches, sit-ups, bicycle kicks, Russian twists, etc. Your lower abdominal muscles need more attention if you wish to flatten your stomach and even add definition, and they are generally considered an elite core workout. You not only benefit from focusing on your lower abs, but also increase your core strength and abdominal endurance to support upper abs training. Sound like a good plan for you? Then let’s take a look at lower abdominal information and workouts that require no weights or equipment – though a yoga mat or something similar is recommended to keep your lower spine from digging into hard floor. Do You Have to Target Specific Abdominal Regions? No, you actually don’t have to perform exercise specific activities to increase the strength and definition of your upper and lower abs. Abdominal exercises, as mentioned above, are capable of allowing simultaneous training that will eventually produce results. The same thing applies to muscles such as your biceps. If you train with compound lifts, the biceps muscle is going to grow at a steady pace as well. However, isolating a muscle area of focus decreases the amount of time it takes to accomplish your goals, and in this sense it would be to flatten and strengthen your lower stomach region. The amount of time it decreases depends on the person since we all have different body types. Another benefit mentioned when it comes to abdominal training is increasing the strength of your body’s core. People tend to go along with what others are saying about the “core”, but in truth have no idea what they actually mean. The core muscles in your body allow you to basically stabilize your body for training and daily activities. 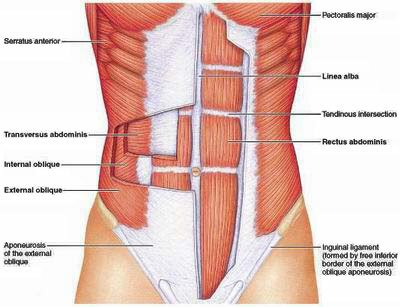 The muscles included in the core are your transversus abdominus (abs), pelvis, obliques, and lower back muscles as well. They are the region on your body that is bounded by the abdominal wall, and make up the core of your body. Now you know what somebody is talking about when they say something like “core strengthening exercises”. So what does your core have to do with you? Stabilizing your core is crucial not just for walking purposes, but for allowing you to increase your training performance since it keeps your body in proper position while performing exercises such as squats and the bench press. Without core strength, you could easily crash down with the weights and cause potential injury to yourself or others. Those in their later years also benefit from core strengthening because it helps prevent later injuries to common areas such as the hips. Let’s proceed on to the next section covering exercises that focus on your lower abs with secondary muscles being the upper abs, hip flexors, and even inner thighs for one of the exercises as well. They are all fairly easy to do and require nothing but your body, focus, and proper technique. You choose the number of repetitions and sets required since nobody really knows your physical conditioning better than you. A great way for starting off though, would be x3 sets for 20 repetitions each just to get a feel for them. Start off slow and get the form down first and foremost. V crunches are where you raise your legs up and together while simultaneously pulling your upper body up like a crunch to touch your toes. Your body basically forms a “V” every rep you perform since you pause your legs once they reach a 45 degree angle from the floor. The great emphasis on your lower and upper abdominal muscles is what makes this exercise vital to this type of training, and the secondary area of focus is your hip flexors as well. This exercise focuses primarily on just your lower abs, which is different from the previous V crunches that target both with similar emphasis. The easy way they are performed is while lying on your back, you place your feet together and leave them firmly on the floor fully extended. With arms extended above your head, raise your body off the floor similar to a sit-up, but use your fingertips to pull your body forward until you touch your toes. You will notice that your hip flexors need to be tightened along with your abs to complete the exercise correctly, thus making it an elite core exercise to think about. Let’s continue this training setup with leg raises while lying on your back. Simply extend your legs out fully and keep your feet together. Place your palms under the lowest portion of your buttocks, and keep your back firmly against the ground. Squeeze your lower abdominals so you can lift your legs up until they are vertically straight from the ground. Lower your legs back down and stop them prior to touching the floor. These simple movements activate your lower abs and hip flexors during both phases of the exercise. They also physically prepare your body to be able to perform other exercises such as squats with better form due to core strengthening, and can help increase your hip strength for those who have had previous injuries or face potential injuries due to aging. This unfamiliar exercise to most is great for hitting those hard to train lower abs and inner thighs, plus they are very easy to perform as a beginner’s workout. The military commonly uses this for morning physical training along with other services. The bottom line is that they work when it comes to training your core and flattening your stomach. All you do is lie down on your back with legs fully extended and feet together. Place hands palms down just below your buttocks, and raise your shoulders to where they are just off the floor. Lift your heels about 6 inches from the floor, and start to open and close your legs like a book. The scissors exercise is another beginner’s workout that is easy to implement into any lower abdominal training. They primarily target your lower abs, but the upper abs receives a nice burn as well. Start off lying on your back, legs fully extended, and feet together. Place hands palms down just below your buttocks, and raise your shoulders just off the ground. Lift heels about 6 inches from the floor, and then alternate lifting each foot up and down simultaneously. The movement appears to look like scissors opening and closing. You don’t need fancy equipment and a gym to train your lower abdominal muscles. You just need hard work, dedication, and the exercises provided to start flattening your stomach and increase your core strength. Add in some more exercises for your upper abs and make it an all around training routine that lasts at least 15 minutes. Interested in bodyweight training to fill up your weekly exercise regimen? Check out my other article covering bodyweight training and see if it’s right for you. On another note, none of these benefits are going to help much with an improper diet. A very low calorie deficit is not the correct choice to make when it comes to flattening your abs and strengthening the core. Eating healthy foods that are high in nutrition prevents the need for starvation, and throwing out junk foods should be your starting point. Your abdominal region is one of the first areas for excess sugars and fats to go, so stay informed on proper nutrition techniques and always maintain a healthy diet while drinking plenty of water. Remember to consult your physician if you have had any previous medical conditions prior to embarking on any changes with your physical activities. Stretch regularly to possibly prevent any serious injuries and encourage muscle recovery to remove soreness and stiffness within your body.